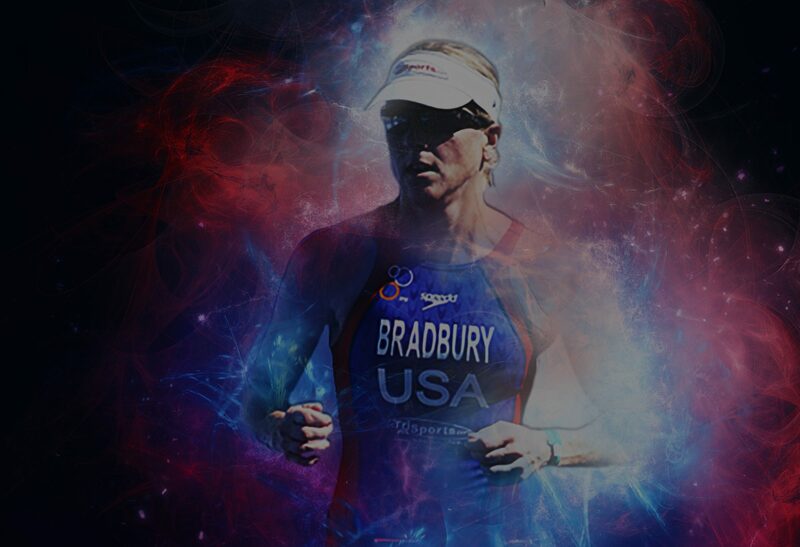 If you are looking for the complete triathlon coach, you will not find anyone better than Mary Bradbury! Mary has been my coach for the last 8 years where she has coached me through every triathlon distance from sprint to Ironman. I have had several podium finishes in my age group and have also qualified for Nationals at the Olympic distance, all with Mary’s guidance. What I like best about Mary is that she takes the time to get to you know you as a person and understands what your limits are both athletically and personally. She creates workouts and weekly plans that fit into your lifestyle so that you have one less thing to worry about. After competing in Olympic and half ironman distances for seven years, I decided to try my hand at the Ironman distance. No easy feat with four active kids at home, a full time job and I was one year out from cervical fusion surgery. Mary was able to put together a plan that got me across the finish line injury free and well under the 17 hour mark! She puts together creative workouts and is constantly changing them up based on your feedback. She is constantly communicating with you in order to put together the best training plan for YOU! Mary’s passion for endurance sports is contagious! Mary has helped me achieve more than I ever thought I would in triathlon and I am confident she will do the same for you! I went to Valley Lo after my lesson, but the skies opened up and I was not able to get in another swim. I am exciting about swimming for the first time ever. I’ve always loved to swim, but I could never swim like I did yesterday after my lesson. Thanks so much for working on my technique. YOU’RE THE BEST!! I’m now your biggest fan!! Seriously, I can’t wait to swim again. – Greg A.
I started working with Mary in the Fall of 2009 after just six months as a triathlete. I was very new to the sport with no background in any one of the three disciplines, and had in fact been pretty much idle for the last fifteen years. In my first summer of triathlon, where Mary had coached me at Together we Tri, I took part in three sprint distance triathlons and one olympic distance race, and found that I thoroughly enjoyed the sport. Having been bitten by the bug and wanting to undertake a half ironman distance race in the Spring of 2010 I decided it was time to enlist Mary as a private coach. From the beginning I found that this was a very interactive process and Mary really took the time to understand what my goals were as a triathlete, in the short, medium and long term to ensure that we were on the same page. Together we identified races that I should (or should not) do and then Mary set about planning the schedule. It was clear that this was a detailed process and that we were working towards a plan. I really enjoy the fact that Mary provides the workouts on a weekly basis, taking into consideration any personal or work requirements you may have that week, but you are able to track where you are in the greater scheme of things. The workouts Mary provides are very detailed and clear to follow, but she is always available to answer any questions and takes care to ensure you properly understand what you need to do, at the same time she is firm in ensuring that you stick to the program. At the start of my triathlon journey I could barely swim 50 yards in the pool, but through a combination of swim lessons and great swim workouts Mary quickly had me improving to the point where I was comfortable doing the 1.2 mile swim required for the 70.3 mile distance race. Over the course of 2010 I improved significantly across all three disciplines, recording personal bests in my triathlons as well as 5k and 10k road races. During the year I completed two half ironman races, one sprint distance and three olympic distance races including the US Triathlon National Age Group Championships which I qualified for in only my second year of triathlon, which is in no small way down to Mary and the training she provided me over the course of the year. An important factor in all of this was that despite the sudden increase in training and racing intensity from practically a zero base I managed to stay largely injury free, which is a testament to the programs Mary provides and the manner in which she trains me.